If you’re unemployed and worried that employers will turn you down for taking on unimpressive work during the recession or for the large employment gaps on your résumé—you needn’t panic. A survey released by the careers website CareerBuilder.com last year revealed that the vast majority of employers are actually sympathetic to such circumstances. Eighty-five percent of those surveyed employed had reported that they were more understanding of employment gaps post-recession. Ninety-four percent said they wouldn’t have a lower opinion of a candidate who took on a position during the recession that was at a lower level than the one he or she had held previously. Employers and CareerBuilder experts recommended a variety of activities you should engage in to build, expand, and strengthen your skills during period of unemployment, in order to increase your marketability. Take a temporary or contract assignment. Sixty-one percent of the hiring managers surveyed recommended taking a class during a period of unemployment. “You never stop learning in your career, so the more technical competence you have, the better,” Teach says. “When you take a class in your field, you are also showing that you are serious about your work and that you take initiative.” Another advantage to taking a class: It’s a great networking opportunity. Twenty-eight percent suggested doing this—but starting a business can be pricy and time consuming. If you have the means to do it, it’s a great résumé booster and a wonderful marketing tool. Follow stories on hot industries and job functions. The CareerBuilder experts said that information technology, engineering, health care, sales, and customer service are among the top areas for hiring nationwide, according to CareerBuilder’s job listings. Follow the news and job openings in these fields. Use the time to come up with ideas. Whether it’s an idea for a marketing campaign, new revenue stream, cost savings, etc., the candidates who show up at an interview with ideas demonstrate that they are passionate, knowledgeable, and excited about the opportunity. These job seekers always stand out from the crowd, CareerBuilder experts say. A résumé handed to the hiring manager directly from someone within the company is more likely to get noticed, CareerBuilder experts say. Build and expand your network of contacts through social media and professional organizations. Let friends, family and professional contacts know that you’re looking for a job, and ask for their help in finding connections to the organizations you’re interested in. As long as you’re actively pursuing a job, you’ll likely be spending a significant amount of time editing and sending out your résumé. Remember to use key words. Why? CareerBuilder experts said most employers use electronic scanning devices to screen and rank candidates. You’ll want to tailor your résumé for each position you apply for, and include specific words from the job posting. 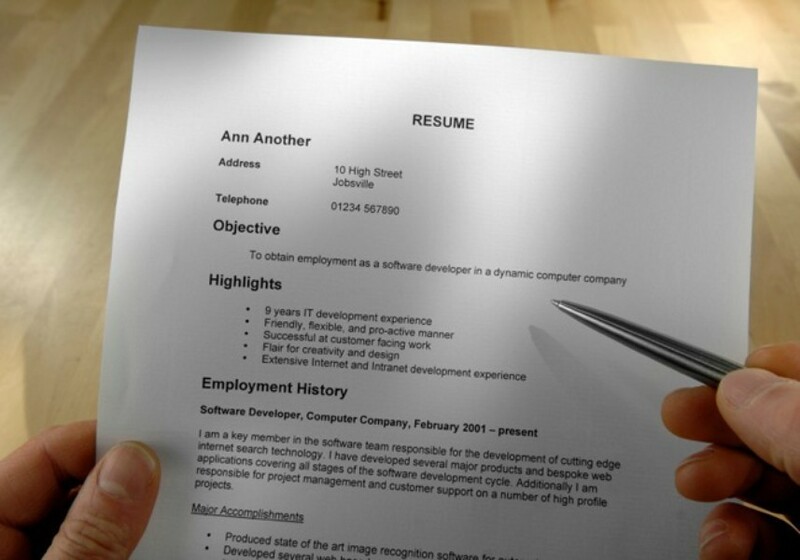 Do this and your résumé will come up higher in employer searches. According to CareerBuilder, two thirds of workers reported that they don’t follow up with the employer after submitting their résumé for consideration. It’s important to take that extra step to let the employer know you’re interested, and make sure you always send a thank you after an interview. Handwritten notes will set you apart from the pool of candidates, but e-mails are acceptable, too.